Lynch, John, D.D., Archdeacon of Tuam, author of Cambrensis Eversus and other works, was born in Galway about 1600, of a family which claimed descent from Hugh de Lacy. [His father, Alexander Lynch, was at the period of his son's birth, one of the few schoolmasters left in Connaught. Hardiman, in his West Connaught, gives the following extract from the report of a regal visitation to his school in 1615: "We found in Galway a publique schoolmaster, named Lynch, placed there by the cittizens, who had great numbers of schollers, not only out of that province but also out of the Pale and other partes, resorting to him. Wee had daily proofe, during our continuance in that citty, how well his schollers profited under him, by the verses and orations which they presented us. Wee sent for that schoolemaster before us, and seriously advised him to conform to the religion established, and, not prevailing with our advices, we enjoyned him to forbear teaching; and I, the Chancellour [Thomas Jones], did take a recognizance of him and some others of his kinsmen in that citty, in the sum of 400li sterl. to his Mate. use, that from thenceforth he should forbeare to teach any more without the speciall license of the Lo. Deputy. "(346)] John Lynch was ordained priest in France about 1622. On his return to Ireland he, like his father, taught school in Galway, and acquired a wide reputation for classical learning. Though he expresses in glowing language his emotions on first celebrating mass in the churches during the ten years from 1642 to 1652, he never speaks of the War of 1641-'52 but as "that ill-omened, insensible, fatal war." He was bitterly opposed to the policy of the Nuncio, and was much prejudiced against Owen Roe O'Neill. Essentially belonging to the Anglo-Irish party, he could not endorse any policy irreconcilable with loyalty to the King of England. During the war he took no part in politics, and lived most of the time secluded in an old castle that had once belonged to Roderic O'Conor. On the surrender of Galway in 1652 he fled to France. We have no particulars of his life in exile at St. Malo. Besides minor works, he was the author of Cambrensis Eversus, published in 1662, under the name of "Gratianus Lucius." It was dedicated to Charles II. 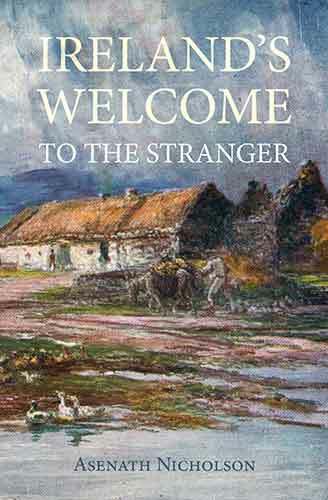 This great work, written in Latin, like all his other books, was an eloquent defence of Ireland from the strictures of Giraldus Cambrensis. About the same period appeared his Alithonologia. "As a history of the Anglo-Irish race, especially of their anomalous position under Elizabeth, the Alithonologia has no rival. It is in that work that he gives his opinion on the history of the Irish Catholics, and sketches of their leading men from 1641 to 1652." In 1667 he wrote a pathetic poem, in answer to the question: "Cur in patriam non redis?" "He would not return, he says, because, broken down by age and infirmities, he would be a burthen to himself and others; he could not bear to see reduced to beggary those whose opulence and public spirit had adorned his native town; he could not exchange the free altars and noble churches of France for the garret chapels and dingy hiding places in Ireland; nor behold the churches, where he had officiated for ten years, transferred to another worship. "[60a] In 1669 he published a life of his uncle, Francis Kirwan, Bishop of Killala — edited with a translation and notes by Rev. C. P. Meehan in 1848. It is probable that he died where his works were published, at St. Malo, between 1667 and 1673. Cambrensis Eversus was republished in 1848 by the Celtic Society of Dublin, in three 8vo. volumes, with a translation and copious notes by the Rev. Matthew Kelly. 66a. Cambrensis Eversus, Edited with Translation and notes by Rev. Matthew Kelly. 3 vols. Dublin, 1848-'52. 346. West Connaught: Roderick O'Flaherty: Edited by James Hardiman. (I. A. S.) Dublin, 1846.